Armand Harold Little. RAF. SS Peter & Paul. Sutton-By-Dover. 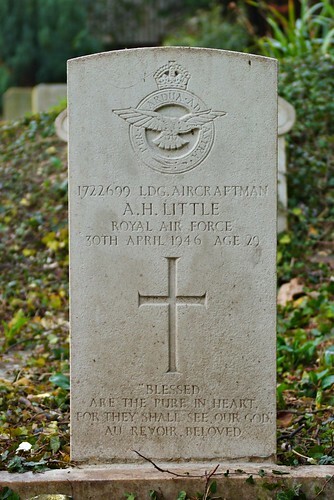 Topic: Armand Harold Little. RAF. SS Peter & Paul. Sutton-By-Dover. Armand Harold Little. Royal Airforce Volunteer Reserve. Died aged 29 on April 30th 1946. Son of Alfred and Emilie Little of East Studdal.